AMAR KAHANIYAAN: CHARACHTERS STUDY- COMING SOON !! Till Now I've reviewed the classic movies, This time I want to make a shift to classic charachters of celluloid. I would try to explain the know-hows and detailing about some of the great roles, who have taken the mindspace of audience for decades. 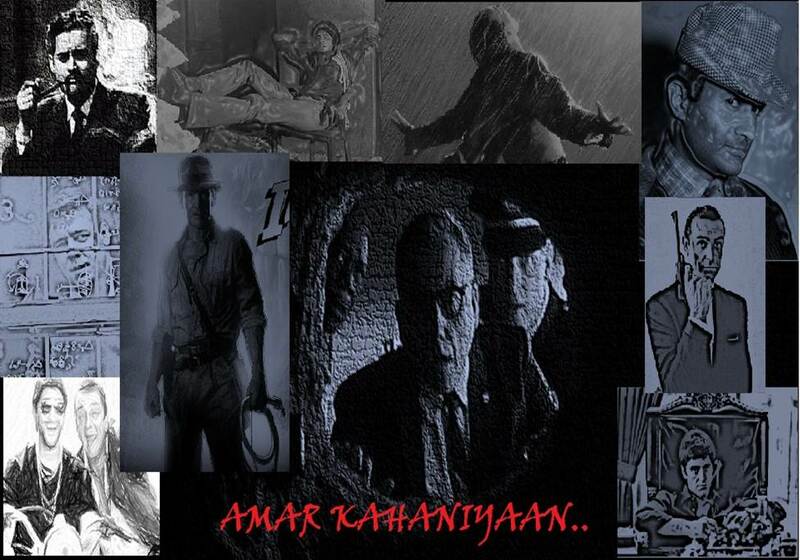 My research list will include both real-life, Artist-specific & reel-life charachters like Sherlock Holmes, Dev Anand, Raju Guide, Kishore Kumar, Guru Dutt, Don, James Bond, Tom Hanks, Leonardo De Caprio, Mother India, Count of Monte Cristo, Dracula, Indiana Jones, Ethan Hunt, Tin Tin, Captain Jack Sparrow, Dr Hannibal Lecter, Joker, V etc. So Stay Tuned !!! !